San Simeon, CA, September 4, 2018 – Best Buddies International, a nonprofit dedicated to creating opportunities for friendship, employment and leadership development for people with intellectual and developmental disabilities (IDD), is pleased to announce that Steve Hearst and California Lieutenant Governor Gavin Newsom will serve as Honorary Co-Chairs of the 15th Best Buddies Challenge: Hearst Castle presented by Pepsi-Cola. Best Buddies is thrilled to announce that Carl Guardino, one of Silicon Valley’s most distinguished business and community leaders, will serve as the 2018 Event Chair. More than 2,000 people are expected to participate in the Challenge – a charity ride to benefit Best Buddies International – on September 8. The Challenge kicks-off with the Official Opening Ceremony of the Best Buddies Challenge: Hearst Castle presented by Pepsi-Cola on Friday, September 7 at the Hearst Ranch in San Simeon, CA. Participants, VIPs, sponsors and guests are invited to attend Opening Ceremonies, which will include musical performances and a program led by Best Buddies International Founder, Chairman & CEO Anthony K. Shriver, designed to celebrate Best Buddies programs and key supporters. On Saturday, September 8, hundreds of cyclists will take to the starting line in San Simeon for a world class 100, 60, 30, and 15-mile ride, as well as 5K running and walking options. Cyclists will make their way through the course, until they arrive at the Finish Line Village at the picturesque Hearst Castle Beach Club. Open to all ages and athletic abilities, participants and supporters ride, run or walk side-by-side with celebrities, professional athletes and notable guests. The Best Buddies Challenge: Hearst Castle presented by Pepsi-Cola will be capped off with a gourmet barbeque, awards ceremony and live musical concert by California’s Soulville Band. During the event, Best Buddies will honor E. & J. Gallo Winery with the 2018 Spirit of Leadership Award, the organization’s highest accolade presented to organizations who have shown great leadership, generosity and spirit in supporting the Best Buddies mission of one-to-one friendship, integrated employment and leadership development for people with IDD. Since becoming involved with the Best Buddies Challenge: Hearst Castle in 2007, E. & J. Gallo Winery has proven themselves to be true advocates for people with special abilities and under the leadership of Karyn and Tom Gallo, the nearly 450 members of Team Gallo have raised more than $1.1 million in support of Best Buddies. 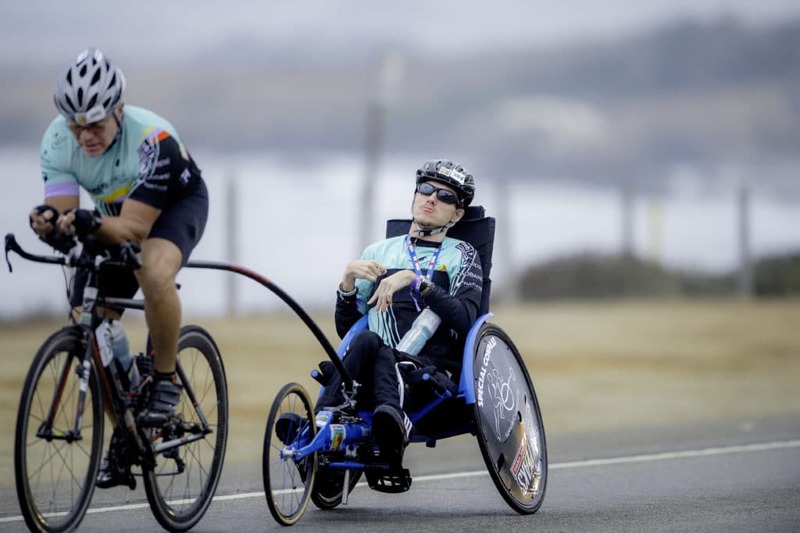 Several celebrity supporters, professional athletes and notable guests are scheduled to attend the Challenge, including: Actors Jamie Brewer, Nolan Gould, Jason Lewis, Lauren Potter, and Patrick Schwarzenegger; professional cyclists George Hincapie and Christian Vande Velde; Miss California USA 2018 and Miss California Teen USA 2018. Challenge sponsors include: Presenting Sponsor, Pepsi-Cola, Official Beverage of the Best Buddies Challenges; Hearst; Hublot; Chevron Corporation; E. & J. Gallo Winery; Paramount; Silicon Valley Bank; Capital Dynamics; Carnival Cruise Line; First Solar; Pacific Gas and Electric Company; Southern Glazer’s Wine & Spirits; Testa Catering, Official Caterer of the Best Buddies Challenge: Hearst Castle; BMC Switzerland, Official Bike Sponsor; and The San Francisco Chronicle. Best Buddies® is a nonprofit 501(c)(3) organization dedicated to establishing a global volunteer movement that creates opportunities for one-to-one friendships, integrated employment and leadership development for people with intellectual and developmental disabilities. Founded in 1989 by Anthony K. Shriver, Best Buddies is a vibrant organization that has grown from one original chapter to nearly 2,500 middle school, high school, and college chapters worldwide. 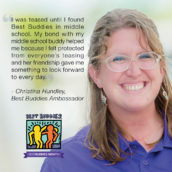 Today, Best Buddies’ eight formal programs — Middle Schools, High Schools, Colleges, Citizens, e-Buddies® , Jobs, Ambassadors, and Promoters — engage participants in each of the 50 states and in 50 countries, positively impacting the lives of over 1.2 million people with and without disabilities around the world. In many cases, as a result of their involvement with Best Buddies, people with intellectual and developmental disabilities secure rewarding jobs, live on their own, become inspirational leaders, and make lifelong friendships. For more information, please visit www.bestbuddies.org, facebook.com/bestbuddies or twitter.com/bestbuddies. 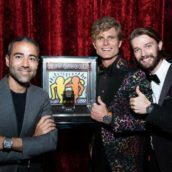 MIAMI, FL., November 19, 2018 – Nearly 700 people attended the 22nd Annual Best Buddies Miami Gala: Le Cirque de la Nuit at Mana Wynwood, Florida on Friday, November 16. The star-studded event raised $2.8 million in total donations for Best Buddies International. 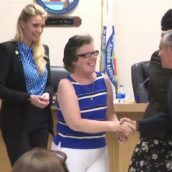 NORTH BAY VILLAGE, FLA. (WSVN) - A member of the Best Buddies organization has been sworn in as a North Bay Village city official. At Tuesday’s city commission meeting, the city swore in Colleen Moriarty as their new City Administration Clerk. SCOTTSDALE, Ariz., Aug. 1, 2018 /PRNewswire/ -- Cold Stone Creamery® (www.ColdStoneCreamery.com) is happy to announce the return of its nationwide Best Buddies International® Fundraising Promotion during the month of August in honor of its continued partnership with the Best Buddies organization, a nonprofit dedicated to creating opportunities for friendship, employment and leadership development for people with intellectual and developmental disabilities (IDD).